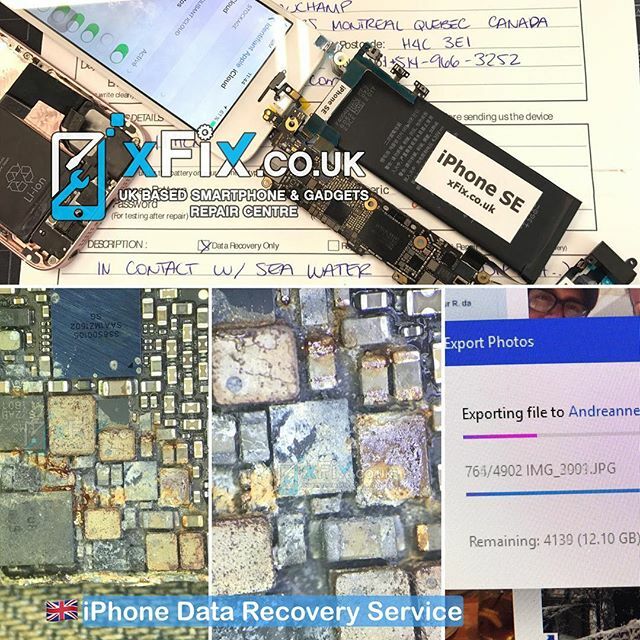 On this iPhone 7 we’ve repaired broken data line on a second layer of the logic board after the customer tried to replace the LCD screen and accidentally used the wrong screw on the wrong screw hole and after that, because the screw was long it damaged the logic board and broke the touchscreen connectivity data line between CPU to LCD connector and because of that touchscreen wasn’t working at all. 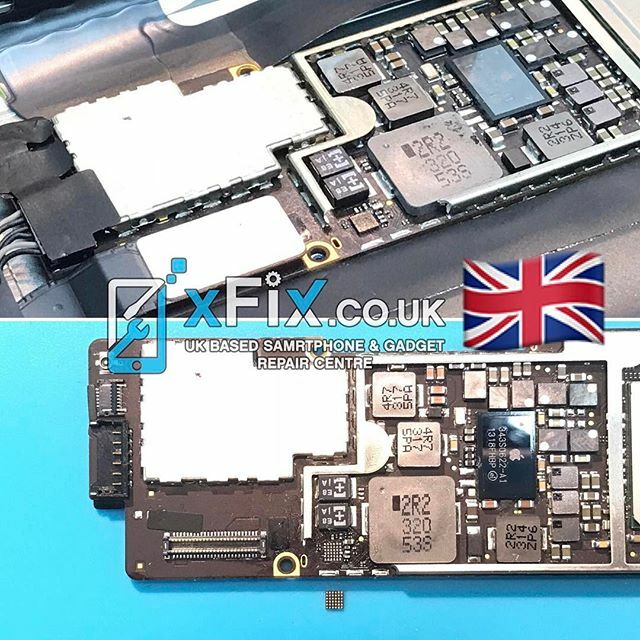 so we fixed the broken data line and touch screen starts working again. 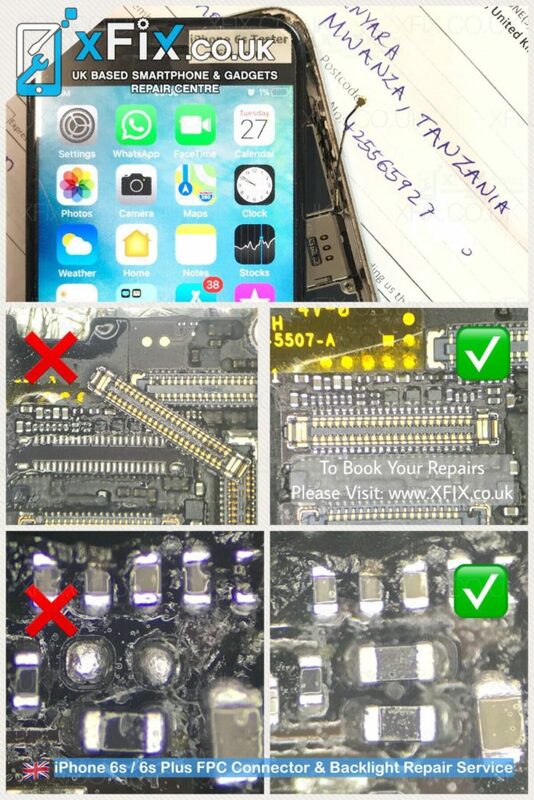 We’ve received this iPhone 6s from Tanzania, East Africa and customer tried to replace LCD screen and unfortunately he damaged the LCD FPC connector and backlight filter on this iPhone6s. 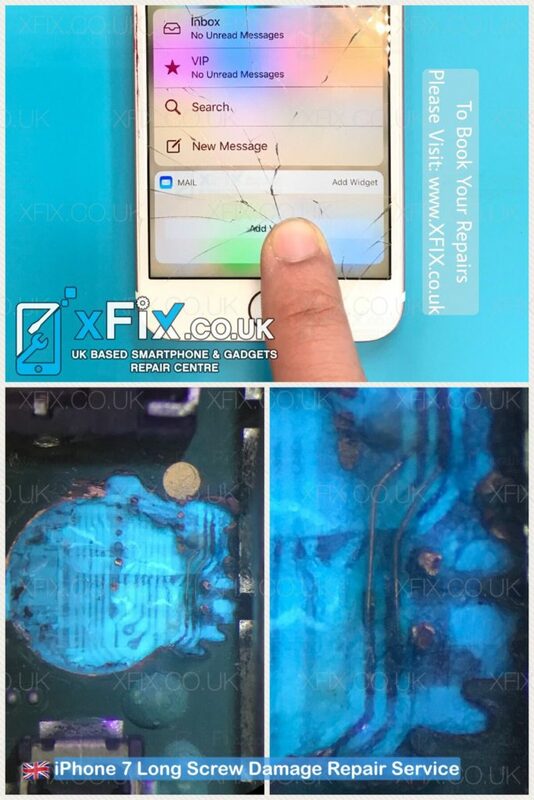 so we’ve replaced the LCD FPC connector and also replaced the backlight filter with new one and after that phone starts working without any issue. 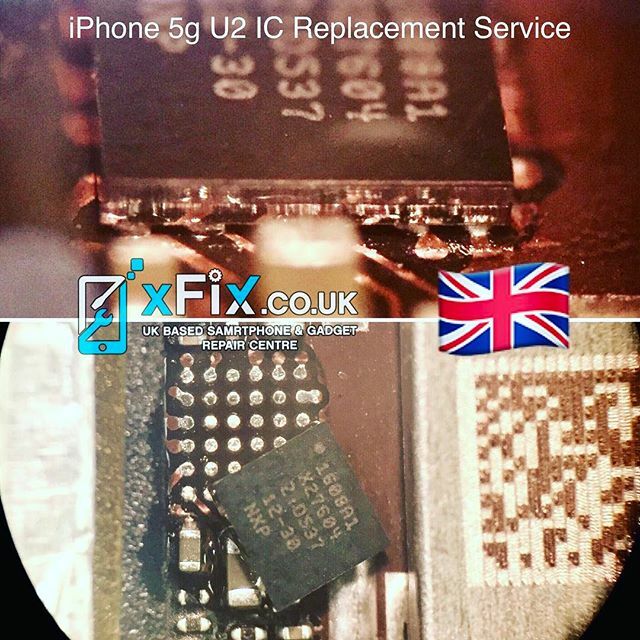 iPad 4 Charging IC U2/U5900 Replacement Repair Service UK .